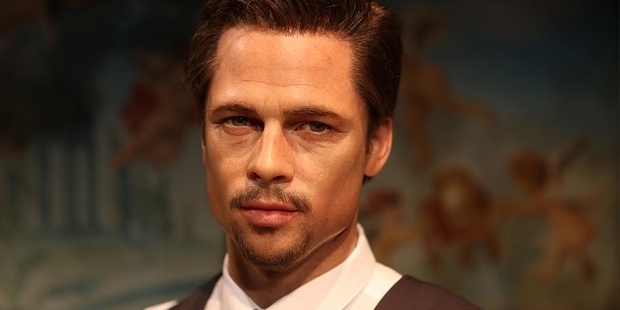 ‘William Bradley' Brad Pitt was born on December 18, 1963 at Shawnee, Oklahoma. He attended Kickapoo High School where he actively participated in debates, musicals and sports like tennis, golf and swimming. After completing high school, he joined the University of Missouri in 1982. But instead of completing his degree he decided to move to Los Angeles to try his luck in the film industry. He reached Los Angeles and enrolled to learn acting from acting coach Roy London and did odd jobs to support himself. He entered in to the film industry in the year 1987 with films like ‘Less Than Zero’, ‘No Way Out’ and ‘No Man’s Land’ but was not given any title credits for his role. At the same time in 1987 he got to appear in short roles in television serials like ‘Another World’, ‘Growing Pains’ and ’21 Jump Street’. In 1988, he got the lead role in the film ‘The Dark Side of the Sun’ but unfortunately that film was shelved only to be released in the year 1997. His next film ‘Happy Together’ also never saw the light of the day. But Pitt struggled hard to achieve his break in the film industry. His next film ‘Cutting Class’ was his first film to reach the theatres but it turned out to be a failure. His first successful role was in the film ‘Thelma & Louise’ (1991) in which he played a supporting role. Next he did critically acclaimed films like ‘A River Runs through It’, ‘Cool World’, ‘Kalifornia’ and ‘True Romance’ which showed his versatile acting capabilities. In 1995, he got the biggest break of his career with the film ‘Seven’ in which he played a detective. This film grossed more than $310 million and made him an overnight star in Hollywood. Next he starred in the movie ’12 Monkeys’ for which he received a Golden Globe for Best Supporting Actor and his first Academy Award nomination. Again he had to wait some years before giving his next big hit. The movie was ‘Fight Club’ and it was released in 1999. This movie went on to become a critical and commercial success grossing more than $100 million. In 2001, he was part of the film ‘Ocean’s Eleven’ which grossed more than $450 million. In 2002 his roles in the films like ‘Ocean’s Twelve’ and ‘Troy’ was highly appreciated with them grossing $350 million and $500 million respectively. Pitt had now joined the elite club of superstars in Hollywood. Every film he acted in was able to break the $100 million mark easily. In 2005, he starred in the film ‘Mr & Mrs. Smith’ which went on to gross $470 million at the worldwide box-office. He continued his dominance at the box office with hits like ‘Babel’, Ocean’s Thirteen’, ‘Inglorious Basterds’ and ‘Moneyball’. He starred in the 2008 film ‘The Curious Case of Benjamin Button’ which achieved 13 Academy Award nominations and grossed more than $300 million. In 2013, his movie ‘World War Z’ went on gross more than $530 million. There is no slowing down in giving one after another blockbuster hits for this Hollywood giant. Today he is one of most popular celebrities in the world. From struggling as a part-time actor, this young kid from Missouri has gone on to become one of the most successful entertainers of his generation.